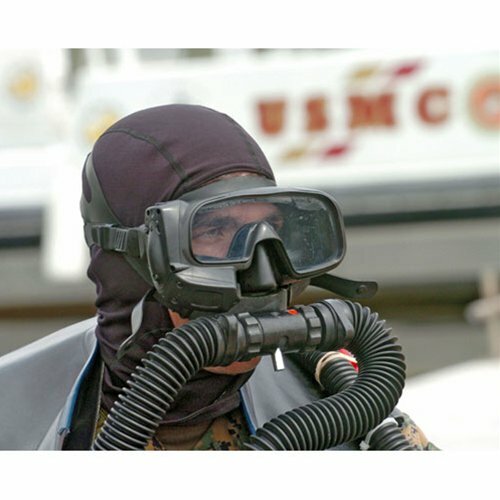 The DataMask is not just about having a computer in your mask it is about the many practical benefits provided by truly "Hands-Free" diving. 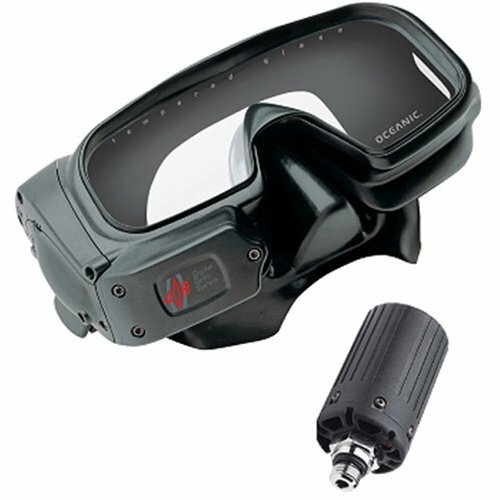 The DataMask contains a miniature liquid crystal display (LCD) panel, proprietary Digital Optic System, microprocessor, depth transducer, wireless cylinder pressure receiver, diver replaceable battery, and controlling software.The miniature LCD allows you to keep your eyes focused on the dive while presenting critical dive data including: current depth, elapsed dive time, cylinder pressure, and dive time remaining. The Digital Optic System provides a clear, highly magnified image of the LCD, which is viewable regardless of environmental conditions and may be seen clearly by the vast majority of people,regardless of vision. 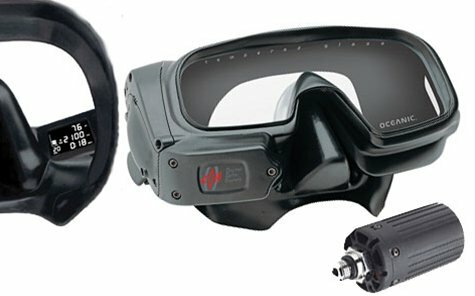 In-mask Digital Optic System provides a clear, highly magnified image of the LCD, which is viewable regardless of environmental conditions and may be seen clearly by the vast majority of people, regardless of vision. 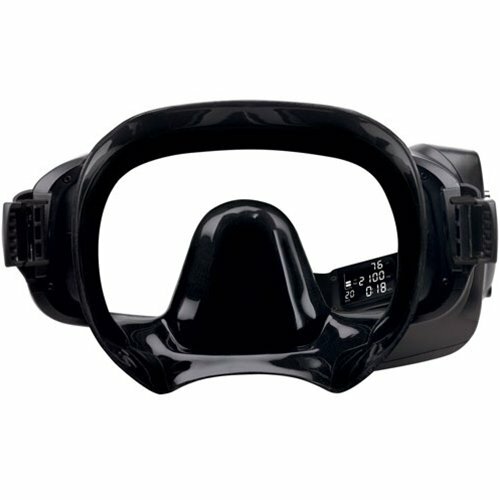 Allows "Hands-Free Diving" for greater convenience, enjoyment and safety during the dive. Wireless Air Integrated Technology with patented Air Time Remaining Algorithm. Audible Alarms with User Acknowledgment. Adjustable backlight intensity may be set on the surface or underwater, allowingthe user to fine-tune display so that it is easily readable, yet not distracting. Advanced User Settings & Options. OceanLog PC Download and Settings Upload Software and USB Cable included.